We stayed at the apartment for 9 days and enjoyed it everyday. It is just next to a very good supermarket and very close to tourist attractions. We have a very convenient parking spot to park our rented car. The apartment offers everything we need for a relaxing holiday eg. hot and cold water system, cooking utilities, plates, air conditioner, fridge with some rice, salt, sauce etc. They are all very clean and in a very good condition. The host responsed our inquiries very quickly and friendly. 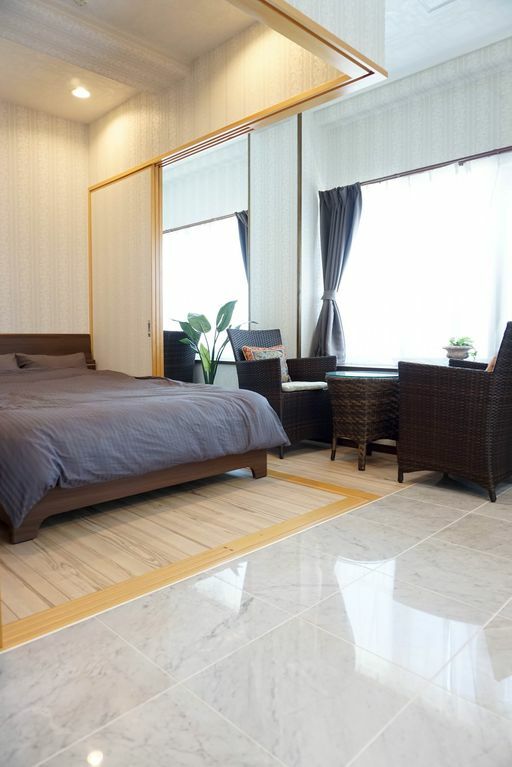 If you are going to Naha you will enjoy staying at this apartment. Our family spent a week at this place, we all loved it. Location is so convenience, place is big and clean, plus the host was providing all necessities. Even though we have 7 people, in fact, this place can fit 10 and still have lots of room to play. We enjoyed it and surely will book this place again.